I had some almond pulp left over after trying Divya's luscious calming date milkshake recipe, which calls for almond milk. I usually just toss the pulp in the compost (which does end up fertilizing our garden, fortunately enough) but this time I wanted to use it. 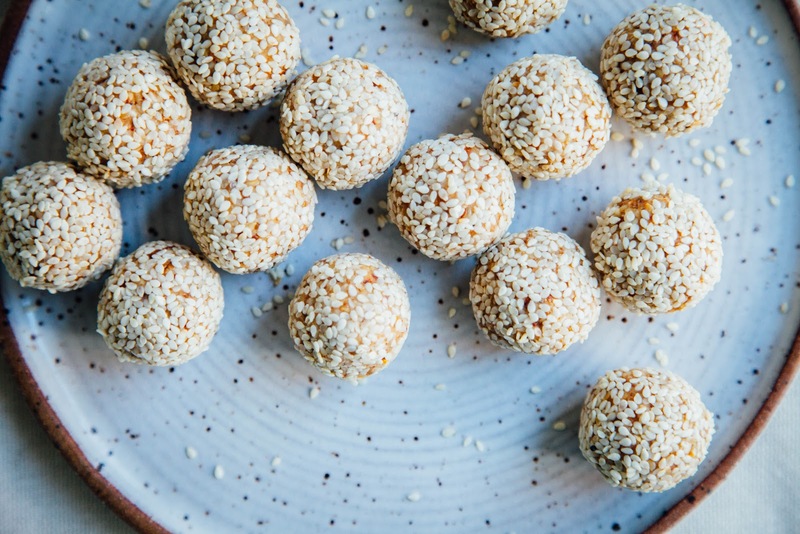 Divya has a note under her almond milk recipe that you can use the pulp in her sesame honey balls. I have altered the recipe so it is now totally vegan (simply swapped maple syrup for honey) but by-and-large I haven't changed it much from how it appears in her cookbook. 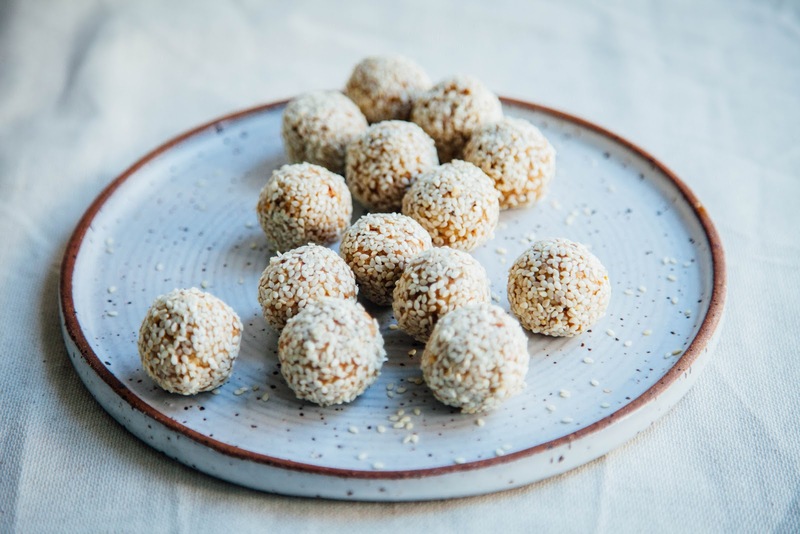 It's full of fibre, healthy fats, uplifting flavours and the almond pulp lends a unique texture that I am now a fan of. Of course, use any nut you like. Hazelnut milk is a favourite of mine, and hazelnut pulp would work deliciously here. Pecans too! And walnuts! 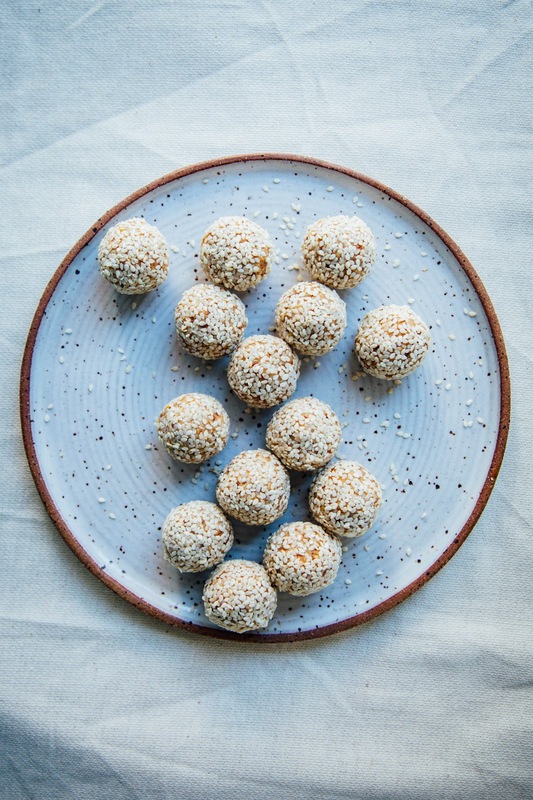 I will leave you with a fact: everything is cute(r) when you form it into balls roll it in sesame seeds. Toast the sesame seeds lightly on low heat until they are golden brown. Stir the seeds frequently so they don't burn. Alternatively you can leave them raw. Grind all the ingredients into a rough dough in your food processor. It will be a little clumpy but should mostly hold its shape. 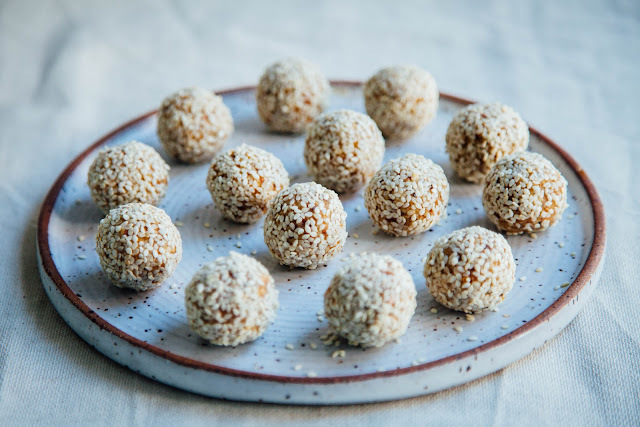 Form into balls with a spoon or by hand, and coat in more sesame seeds if you like. Leave in the fridge to set for at least an hour. Enjoy! I bet these are delicious with the orange zest! I usually like mine with dates and peanut butter. Ooooh yes genius idea. Thank you! Heck yes!! :) Thanks for the comment, Meg. Macadamia milk sounds DIVINE. My tastebuds seriously danced when I saw this !!! YUM! I cannot wait to WOW my family with this! Mhy name is Bryan and I am working in my blog. Have a GREAT Friday sweet friend! Haha thank you, Bryan! Hope you enjoy the recipe if you try it.